The ATC-Alpine Guide is a more compact, lighter version of Black Diamond's award winning and most versatile belay/rappel device, the ATC Guide. Designed for smaller rope diameters used in the mountains, and optimised for ropes between 8.1 and 8.5 millimeters in diameter but functions perfectly with ropes from 6.9 to 9mm. It is simple, robust and ultra-light, at just 73 grams. Thanks to the oval shaped anchor-hole, handling in guide mode is a dream, feeding the rope and allowing you to pull rope through easily. 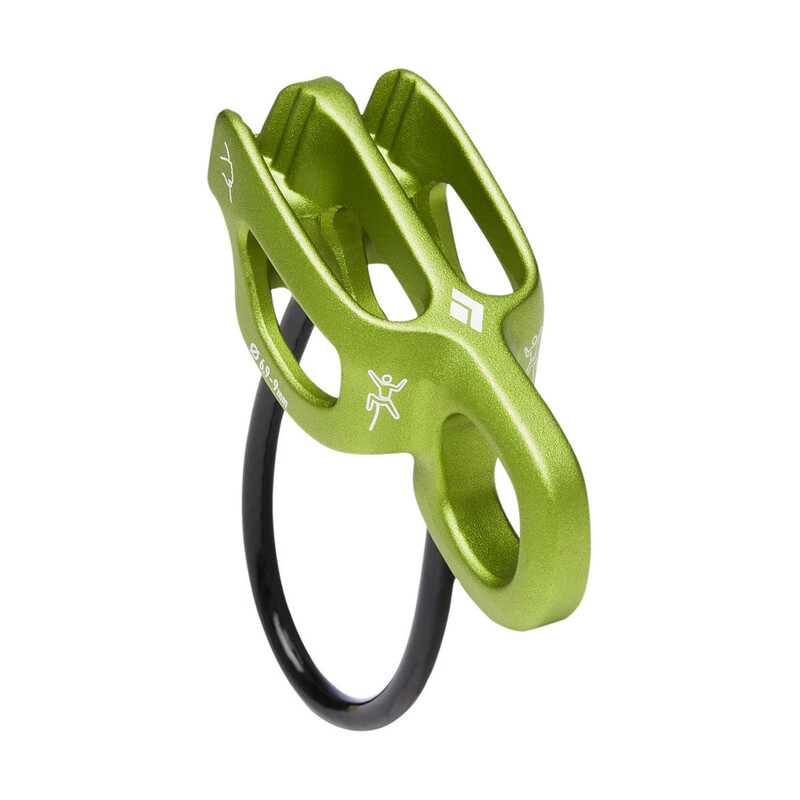 As with the ATC-Guide you can belay one or two seconds, release the auto-bloack by inserting a small carabiner into the lever hole, and provides multiple friction modes to give the optimal amount of stopping power when lowering or rappelling. Designed for fast and light alpine missions.